Menton Daily Photo: La Brigue - Hair Salon! 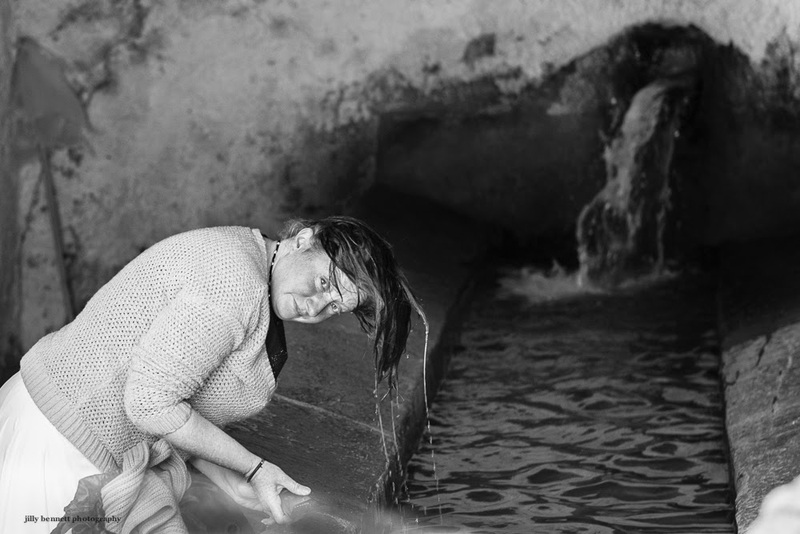 At the top of the village of La Brigue is the washhouse, so thought I'd take a quick photo and was truly surprised to see this lady washing her hair. 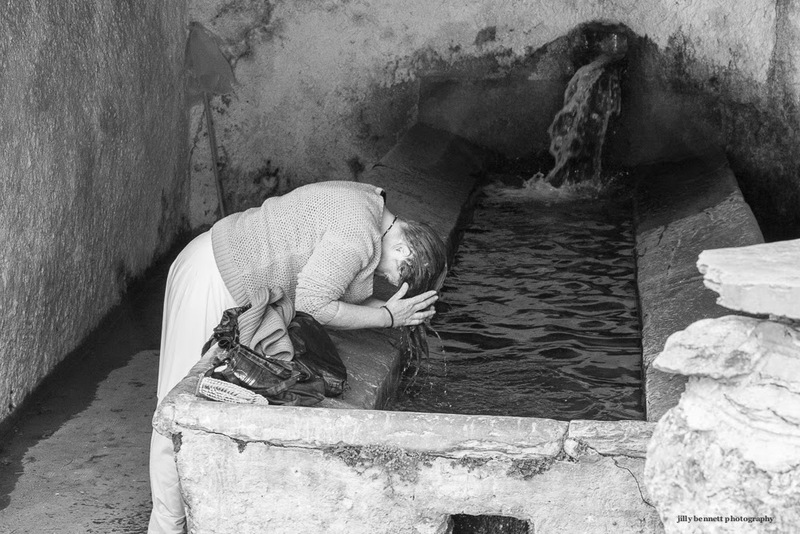 This is freezing cold mountain spring water - her hands and face were red. Tough these village ladies. Vers le haut du village de La Brigue se trouve le vieux lavoir que j'avais l'intention de prendre en photo et j'ai été vraiment étonnée de voir cette dame laver ses cheveux. C'est de l'eau de source de montagne glacée - ses mains et son visage étaient rouges. Courageuses ces villageoises! Maybe she doesn't have a shower at home, or is it an old secret for washing hair we don't know? One wonders what her story was! Wonderful image of an intimate moment. It might be hard for a man to get away with taking this picture unless he was a family member. Don't you need at least warm water to wash your hair? Is this a Lavoir ? Think they are amazing and yet again there you were with you camera ,,Wonder who was more shocked !! You should do a coffee table book , love you photos.